Ice fishing is an addictive way to extend the angling season into the coldest months. With the soft hum of a flasher in the background, the almost magical green light of the water below the ice, a few friends to share the time, and crappie taking jig after jig, you can make life-long memories all winter. But fishing at the best of times offers plenty of challenges, and angling on the hard water adds a whole host of new frustrations. 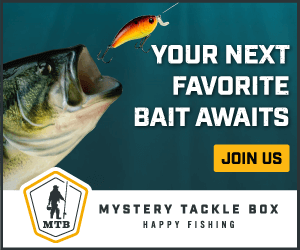 Frozen line, iced-over guides, and fingers too numb to tie a new jig on can spoil even the best of days–and if you’ve ever sat shivering over a ten-inch hole, you know just what we mean! An excellent shelter goes a long way toward solving these issues along with warm gloves and boots. But when the weather’s bitterly cold, you need to add a quality heater to the mix. Keeping your shelter a comfortable temperature isn’t about being a butter-soft angler–you’re gear needs to be kept above freezing, too, to provide the best it has to offer. Mr. Heater Buddy – Our Pick! 1.3 Full size or portable propane? 2.1 Mr. Heater Buddy – Our Pick! 3 Our Pick – the Mr. Heater Buddy! There’s a lot of misinformation on the internet, but this is something you need to get right. Your life depends on making a smart choice, not because you’ll freeze to death, but because a heater that’s not rated for indoor use can kill. Outdoor heaters are designed for open-air use in spaces like construction sites and sporting events. While they’re fine if you want to keep warm on the open ice, in a tent, they’re a deadly hazard. They produce dangerous levels of carbon monoxide, a silent killer, and you should never use them in an enclosed space like a tent, vented or not. Note: Make absolutely sure that the heater you’ve chosen is rated for indoor use! We are only reviewing heaters that are safe to use inside. Low oxygen sensor – As the propane fuel burns to warm your tent, it will consume oxygen. Improper ventilation can deplete that life-providing gas, which will increase the output of carbon monoxide during combustion. This silent killer will make you sleepy, eventually render you unconscious, and can quickly lead to death. To be safe, you need to use a heater that will automatically shut off when it senses oxygen levels are too low. Indoor rated – Never use an outdoor heater indoors. 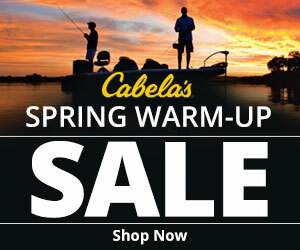 Outdoor heaters can produce deadly carbon monoxide in large amounts and they can quickly kill anglers in ice shelters. Unfortunately, many websites don’t do their homework, and they suggest heaters that are not designed to be used in tents or other enclosed spaces. “Sunflower” or Tank-Top heaters – Sunflower heaters are a popular design, and we appreciate how quickly they heat up. But they are not rated for indoor use and produce far too much carbon monoxide to be safe. Their use in tents and trailers kills people every year. Vent and aerate – Even with the right heater, it’s important that you vent your tent or ice house. All propane heaters create carbon monoxide, and you must take precautions to stay safe. You want clean, fresh air coming in. You must keep plenty of oxygen around to provide ideal combustion. This is essential even for indoor rated heaters. Auto tip shut off – We like heaters that feature wide, stable bases that are hard to tip, and we prefer models that feature an auto tip shut off. You want to match the BTU output of your heater to the area of your shelter. Look for as close a match as you can, and keep in mind that many heaters offer multiple settings. Full size or portable propane? Some heaters can be attached either to a one-pound portable propane tank or to a standard large tank. Others are designed to work with only one or the other. We don’t like the idea of dragging a full-sized tank out onto the ice, but if that’s what you prefer, all but one of the heaters we’ve reviewed can be attached to either one pound disposable cylinders or 20-pound refillable cylinders with optional hoses. Obviously, BTU output and fuel consumption are related. But not all heaters are equal, and you want a model that sips propane rather than gulping it. As you can see from our list, Mr. Heater dominates the propane-fueled portable heater market. That’s not favoritism on our part, but rather an accurate assessment of the products the company offers. Even after extensive research, we were unable to find another company that makes indoor-rated propane heaters for use on the ice. The Buddy is perhaps their most popular model, and its features explain why. Formerly available in bright red, it’s now light gray, though it delivers the same awesome performance. 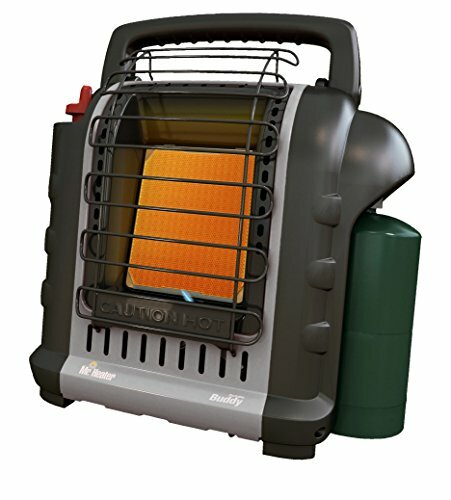 Ignited by pressing a Piezo button while turning the control switch to “pilot,” with a high and low setting, you can get this portable heater up to a steaming 9,000 BTUs an hour–or as low as a fuel-sipping 4,000. On the high setting, expect a single one pound fuel cylinder to last about three hours. On low, six hours is the norm. You can connect the Buddy to a full 20-pound reusable cylinder with an optional hose and filter. That means no worries about fuel, but it does add quite a bit of weight and bulk. As far as warmth is concerned, even on low, a standard portable shelter is going to be sweltering quickly, and you’ll probably need to cycle the Buddy on and off as the temperature varies. That may sound like a hassle, but we think this model is the best option despite that. If you fish from a larger shanty, or need the heat in an RV or trailer you use as a base by the lake, the Buddy’s ability to warm as much as 225 square feet really comes into its own. And with both an oxygen sensor and an auto tip shut off, we feel really comfortable running this heater in an enclosed space. Just be careful to provide the necessary ventilation. This heater has a fold-down handle to help minimize the space it takes up, too. Mr. Heater warns that its units may not function above 7,000 feet, although users report no trouble. The Big Buddy is basically a larger, more powerful, fan-assisted brother to the standard model. Almost certainly overkill in a tent, the Big Buddy has the power you need for trailers, RVs, and camps that serve as your fishing HQ. Like the Buddy, this model starts by simply rotating the control knob to “pilot” and pressing the Piezo button. With three settings–low, medium, and high–you can regulate its output, selecting 4,000, 9,000, or an incredible 18,000 BTUs per hour. Assisted by a fan that can run on 4 D-cell batteries or by connecting it to a standard socket, the Big Buddy will push heated air with vigor. Fueled either by two disposable cylinders or connected via an optional hose and filter to a full-sized tank, the Big Buddy can deliver that heat for as long as five hours on low with the small guys. Expect it to last a very, very long time when hooked to a big one. On high, this heater will quickly warm a large area, and it has the safety features we recommend to provide peace of mind. That said, venting is always necessary! While technically portable, we doubt we’d bring this bad boy out on the ice for a standard sized shanty or tent. Whether you prefer a flip-over or a hub, an Eskimo or a Clam, the Little Buddy’s got you covered. Most portable ice shelters are roughly 80 square feet, and with 3,800 BTUs of output an hour, this tiny propane heater will have the air at a gloveless temp in just minutes. 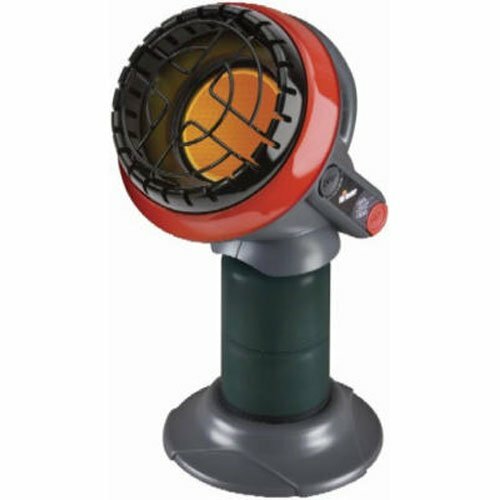 Ignited by a Piezo-sparking mechanism connected to a single button, this heater is easy to use. Fueled by a single, one-pound propane cylinder, expect 5.6 hours of heating before you need to switch to a new one. For all-day comfort, we recommend you bring a spare. Even then, weighing in at just under 6 pounds, you won’t have much to lug out onto the ice. The Little Buddy features an oxygen sensor and tip shut off, options we really appreciate. That said, don’t try to move this unit around while its lit, as it will turn off with even the slightest nudge. What we don’t love about this heater is the basic design. The element rides on the top of the cylinder, and that propane tank rests in a plastic cradle. At just eight inches in diameter, it’s not the most stable platform, and it has been known to freeze to the ice. Some users have trouble getting the Little Buddy started, too. This heater is not adjustable, either, and the head is fixed at 45 degrees. We don’t mind that, but there’s no way to regulate the heat output–off/on is your only option. Overall, this is not our favorite of the Mr. Heater line. Our Pick – the Mr. Heater Buddy! We looked high and low for other heater options, but came up empty-handed. 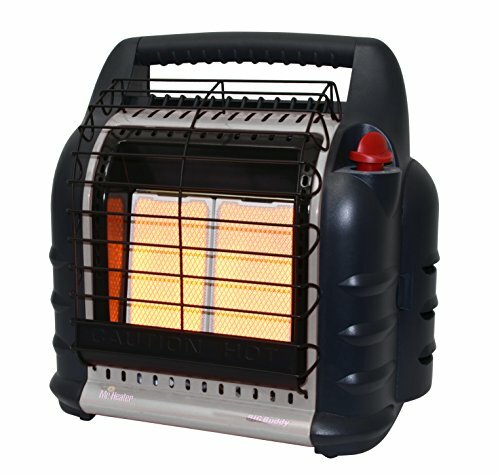 And while we know that sunflower-style heaters are a popular choice on the ice, they should never be used in tents, trailers, RVs, or cabins of any type. For that reason, we refused to review them, and we can’t emphasize strongly enough that they kill anglers every winter through improper use. Don’t be swayed by online forums that encourage their use in ventilated tents. There are propane heaters designed for RVs, like Camco’s Olympian Wave 3, and though they’re rated for indoors, they’re also designed for truly indoor conditions. We wouldn’t take one of these out onto the ice, and we can’t recommend you do that either. That leaves us with the Mr. Heater line, and the good news is that they perform well, season after season. Our favorite of these is the Buddy, as it provides more than enough heat for any portable shelter and is capable of keeping an RV, small trailer, or camper toasty in even the coldest weather. Its fuel-sipping design is easy to use, offering you more than one setting. It’s stable, compact, and offers the safety features that we demand. It’s also reasonably light, especially if you use a snow machine or sled to bring your gear to the ice. If you need more or less heat, or can’t handle the weight and bulk of the Buddy, we recommend you look to the Little Buddy as an alternative.